In my travels I have come across some awesomely delicious and sometimes crazy foods. In honor of father’s day…. and my own father’s love for food (especially when traveling), I dedicate this post to him. Love you dad. 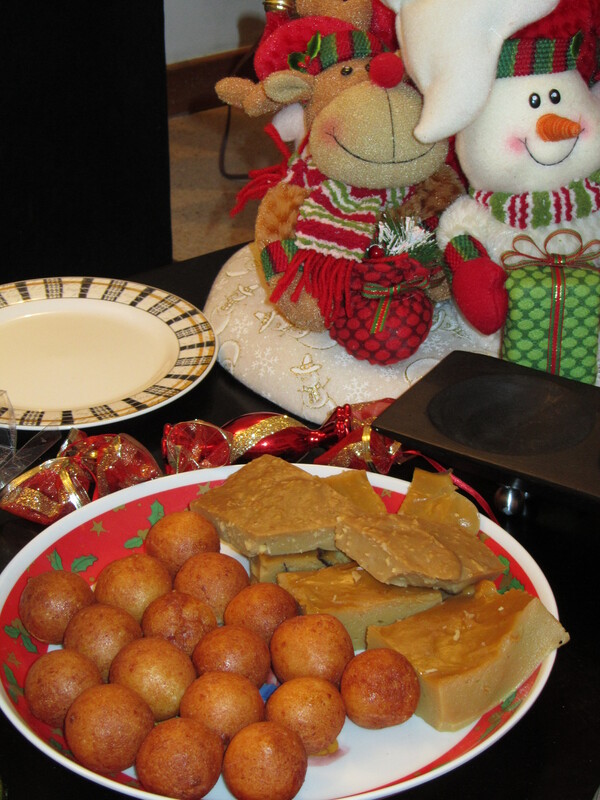 It all started in the Christmas season with natilla and buñuelos. 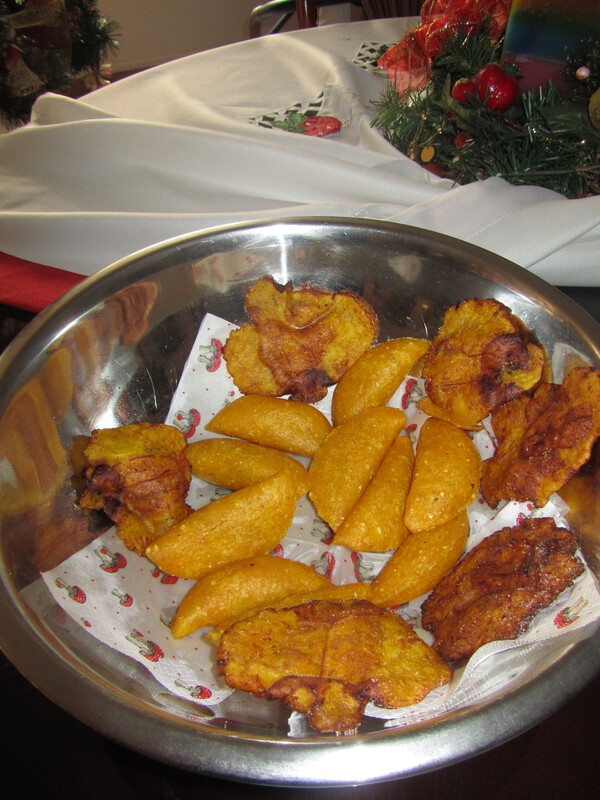 This is served at EVERY Christmas part of gathering I ever went to (lets just say I probably have eaten my body weight in the both) buñuelos are these delicious little round “fitters”– fried balls of cheesy bread, special Latin America cheese (kinda like feta-ish). Natilla is the Colombian version of its Mexican cousin flan. It’s this delicious creamy, caramel, cinnamony custard with raisins and sometimes other yumminess. The empanada. This is something that you will find in most Latin American countries. But they are totally different between the different regions. For me, the Colombian empanada (specifically a lady who makes homemade ones at a stand in Envigado) are the best of the best. Here they have a corn encasing and could be filled with chicken, potatoes, or carne. 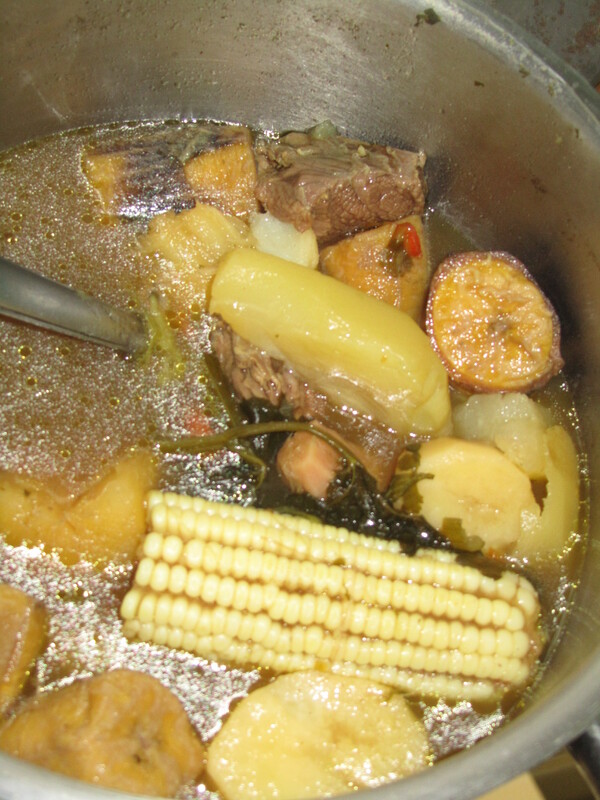 Sancocho de Gallina: Toss every vegetable you have in the kitchen in a delicious stew with some chicken and enjoy. This is another thing that they make everywhere with different names and slightly different flavors depending on where you are. Just the other day, I enjoyed olla de carne which is the Costs Rican version with beef instead of chicken. One day I arrived at PAN in Medellin to the all the kids working together to peel, cut and prepare the vegetables for a HUGE pot of sancocho. It was awesome. This is actually olla de carne... but they all look the same really. Ceviche. The piece-de-risistance of cuisine in Lima. This is another dish you can get pretty much anywhere down here, but will never be the same. 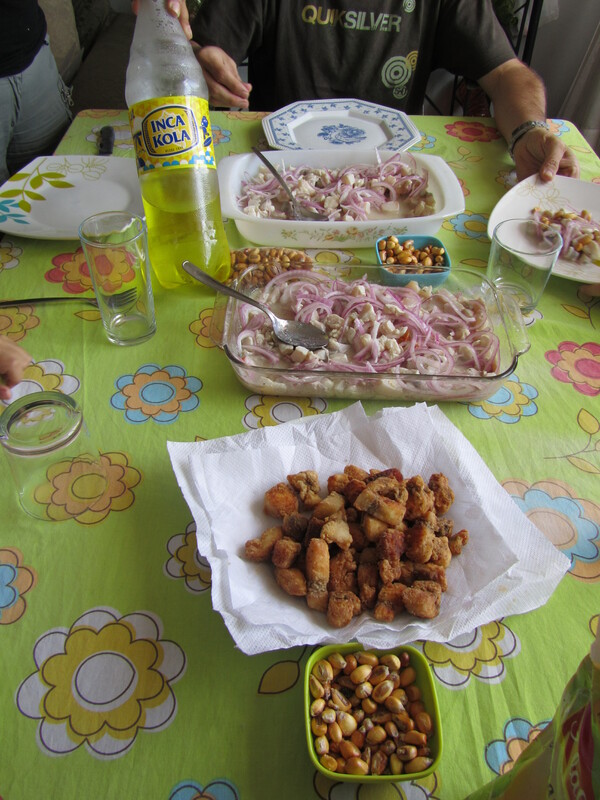 Peruvian ceviche is the most simple, and in my opinion probably the most delicious. Fish, onion, Limon. That’s it. Alpaca: you can get in pretty much anyway especially in the Sierra like Cuzco. We acutally ate it in a stew and another time on a pizza. It tastes like elk to me. 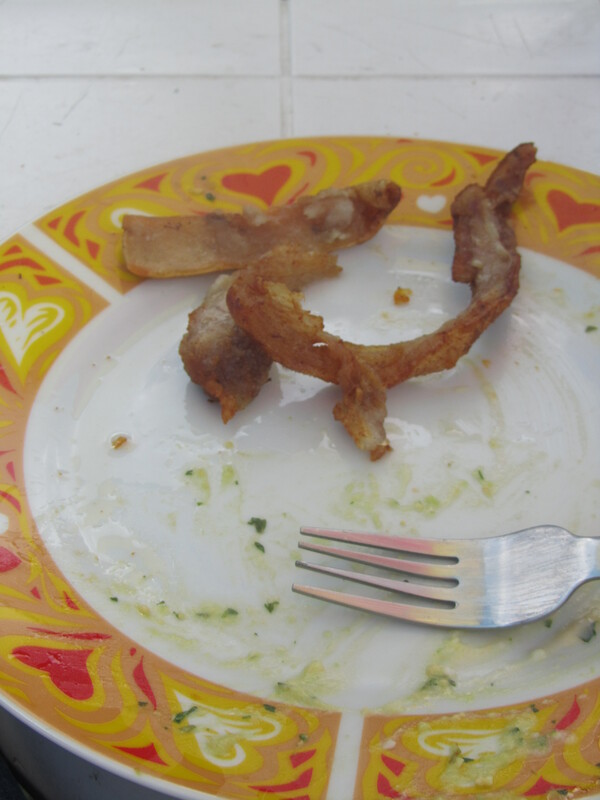 Cuy: OK. you got me, I never actually ate this. But wanted to include it cause I wanted to eat it, well sort of. I wanted to want to eat it. 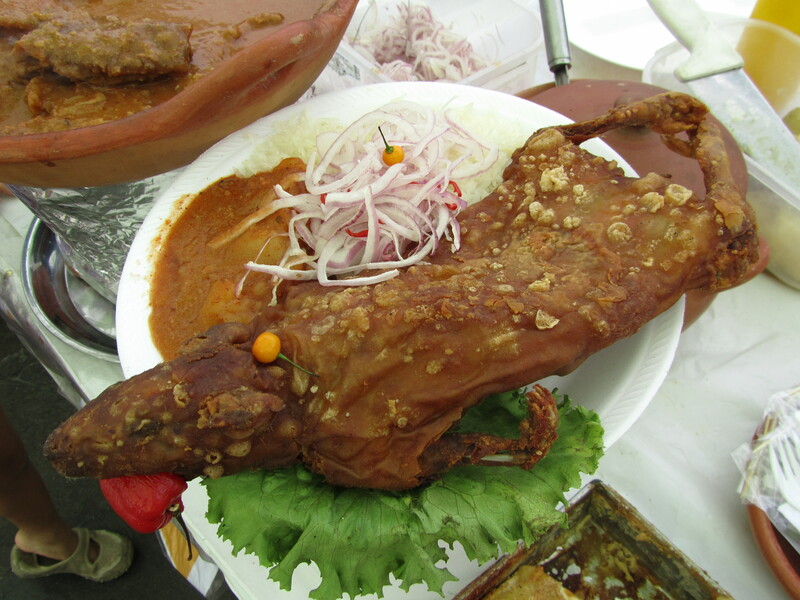 Yes, it is guinea pig and it is a very popular delicacy here. Anticuchos: These are the kind of things that are best cooked right on the street. Apparently the stand a few blocks from where we lived is actually some world renounced chef that keeps the stand in Lima to make his anticuchos. They are shishkabobs of cow heart. I didn’t really like them actually… to dense and I don’t know… I just didn’t like the taste that much. Arroz con leche y mazamora: Arroz con leche is another thing you eat all over the place down here. It is basically a creamy rice pudding. The mazamora is a sweet purple “sauce” that comes with it. It is a corn base (think corn syrup here) kinda like a jelly consistency. 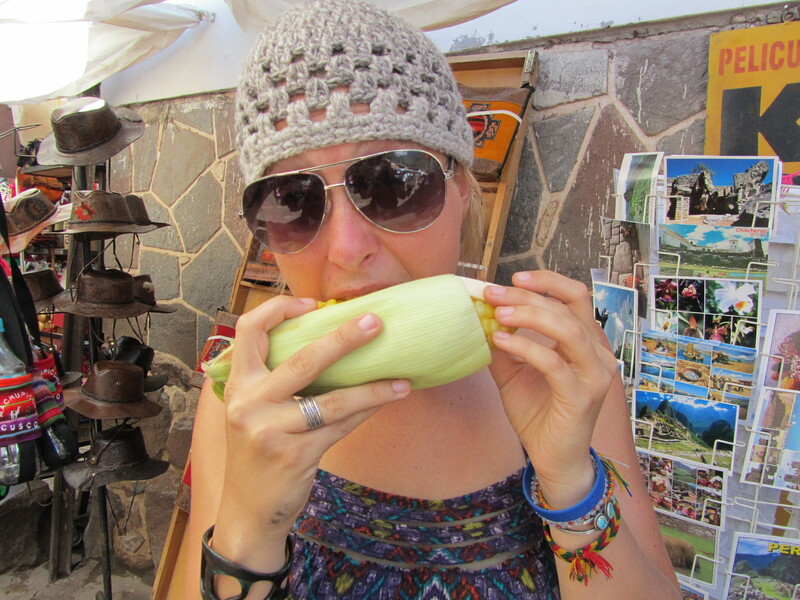 Peru also has billions of kinds of corn and potatoes. Seriously, a quick wikipedia search has informed me there are: over 3800 types of potatoes and well, we will have to stick with “lots” for the number of corn because I can’t find a direct reference. Anyway, you should try lots of each its fun and crazy to see and taste the differences. I highly recommend the sweet potato relatives and this yummy corn they cook and serve with cheese in most markets. Empanadas: Totally different than those I chowed down on in Colombia, these are more pastry and flour-y. You can find them filled with sweet, fruity marmalade for desert or chicken, ham/cheese etc for meal times. Arregladas: The Costa Rican sandwich. I don’t know what the bread is that they use. It’s kind of like a hybrid between pita and a tortilla. These things are good. I could eat hundreds of them (yes, in one sitting). Gallo Pinto: Rice and black beans. Love (those of you how know me well know about my life long love affair with black beans.) and this stuff is good. They even eat it for breakfast. It’s a staple. 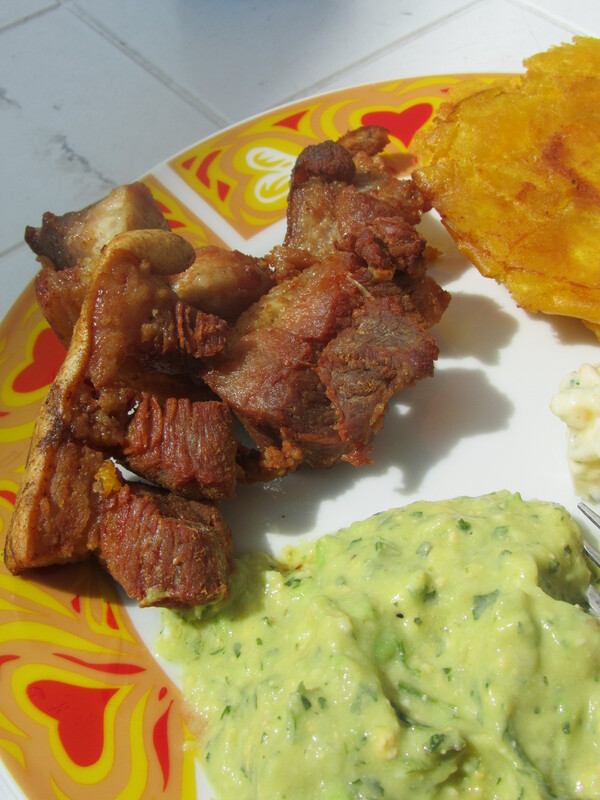 Chicharron. Friend pork rinds. way better than those little fried chip things you can get at the dollar store. They eat the whole thing (including the skin). I tried… but failed. These things are truly a sin, but man are they good (Dad, you would love these). 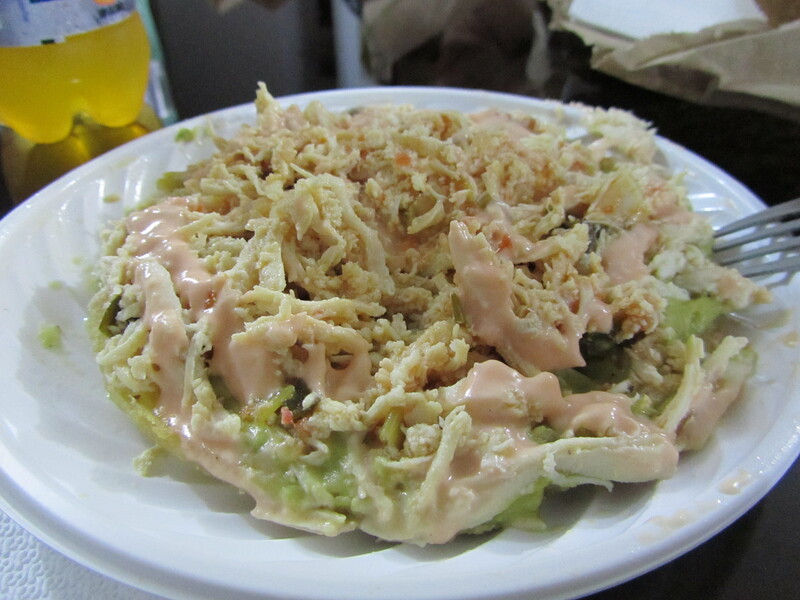 In Costa Rica they have this special little dish they call Chi-frijo (chicharron mixed with gallo pinto) I have yet to try it, but its on the list of must-dos. 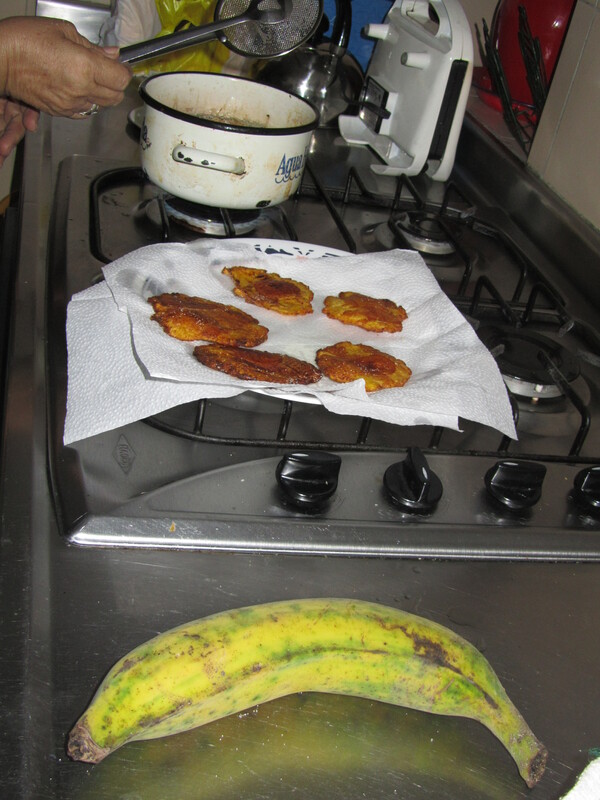 Patacones/tostones: fried plantains. so good and really easy to make. Jugos naturales: fresh fruit juices. You usually can choose if you want then in a water or milk base. Sometimes they are served more like a frapee. Always delicious. 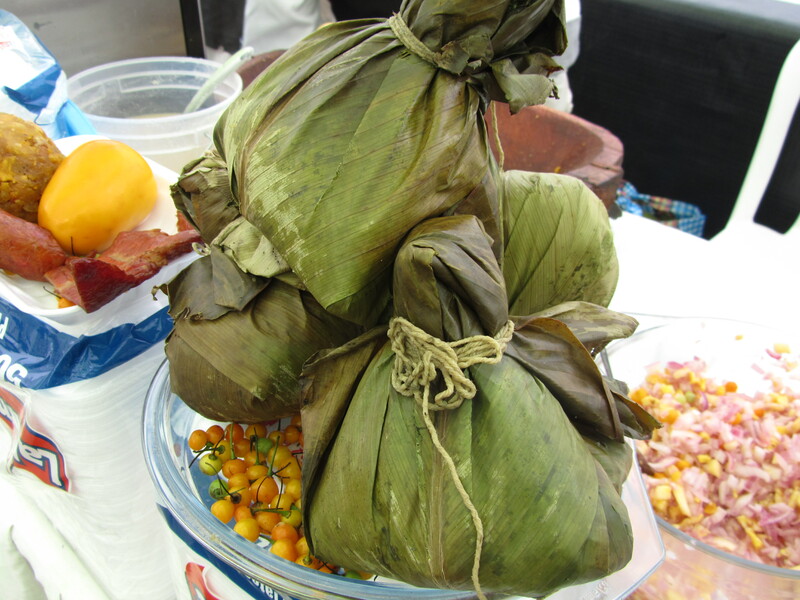 Tamales: yes you can get them anywhere… but they will vary a lot depending on where you are. I think I like the Costa Rican ones the best. There you have it. There is way more… but I am hungry now and I am sure you are tired of reading. So, go out to your neighborhood latin cuisine and enjoy. Hi Keels, So fun to see all the food! Matt had Cuy on his travels…. I think it was fried on a stick. Yikes. I’m thinking of you so much and look forward to seeing you sometime before too long. On looking back at your Desconento Santo, I like the ideas you have learned. I love your receptivity at such an early age…. amazed by it, really. It is up to us, individually, to recognize the discontent, and act on it. I also like the idea of trying to look through the eyes of God…. as He would see things. Very interesting Keely. It’s amazing the insights you are having as you go about doing good for these children. Love you so…..
and inviting. Send some over please. I can’t help but notice that you didn’t try any gorditas or nachos bell grande. What’s with that?